COMMANDER gives you precise, smooth control over your entire propulsion system for both Variable Pitch and Fixed Pitch vessels. 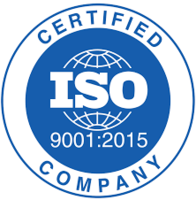 COMMANDER is a Lloyd’s Register Type Approved system, designed, manufactured and fully supported from the UK. At the heart of the system, COMMANDER is tailored to the individuality of your vessel. Electronic signals control the engine, pitch valve and gearbox. With wire break detection and a sophisticated operational event logger built in, you can be assured of a safe and reliable system, easily adjusted from the menu-driven LCD. Multiple Control Station positions give you control where you need it with a smooth and safe transfer from one position to the next. 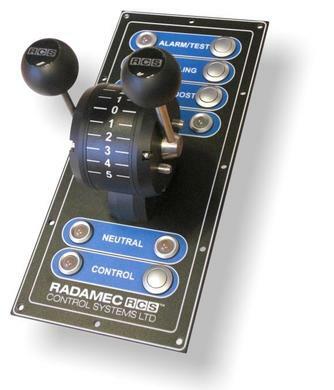 Radamec can supply control panels, or we can supply our waterproof IP67 compact control head for mounting on to your bespoke bridge console. Commander also accommodates third-party throttle controls. COMMANDER gives you pr COMMANDER is a Lloyd’s Register Type Approved system, designed, manufactured and fully supported from the UK. 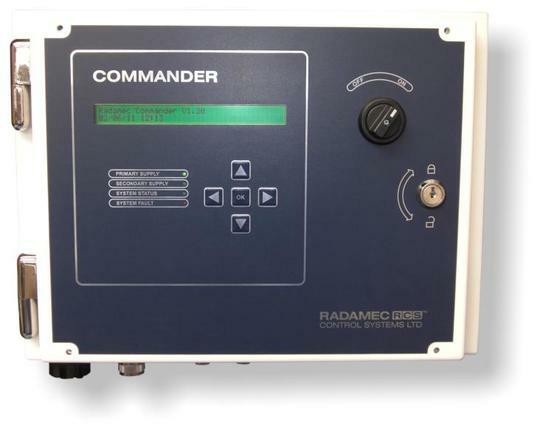 The features developed for the Commander product have been designed to simplify and enhance the remote control of the propulsion machinery thus contributing to the safer operation of the vessel. At the heart of the system, COMMANDER is tailored to the individuality of your vessel. Electronic signals control the engine. Pitch valve and gearbox. 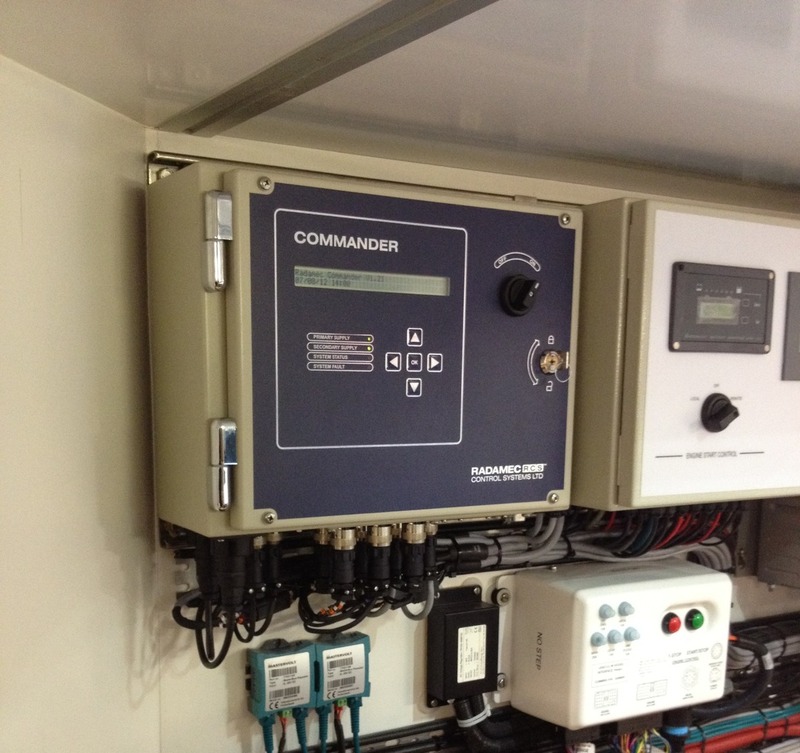 The Commander system is suitable for use on vessels having single or twin-engine propulsion units. Control is available from multiple stations and there are options on the control transfer between stations from simple accept, offer before accept, control lever alignment inhibit and if required control lever following via the RCS Electric Lever system Logged manoeuvring details and fault identification can be accessed via the LCD and may also be downloaded to PC. Hydraulic via proportional and solenoid control valves; or mechanical via electro-mechanical actuators. The Main Processor Board is the central logic, processing and control component. There can be up to 5 Remote Bridge Stations connected to the Main Processor Board. The number of Remote Bridge Stations is assigned during system configuration. The Remote Stations provide the main analogue control signals to the system from which the propulsion system outputs are generated. The signals between the remote stations and the Main Processor Board are carried over a digital communications network. Digital communication ensures an error-free signal can be sent and received over a long distance. Digital signals offer greater immunity to interference otherwiseinduced when multiple cabling systems share common trunking often found in vessel system wiring. 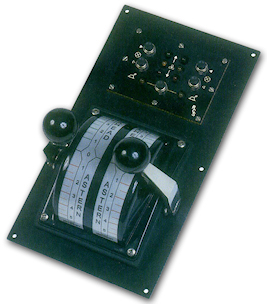 The user interface with the Logic Enclosure is through the LCD and 5 input keys, for menu navigation, and 4 indicator LEDs providing system status. The Relay Interface Card AG6603 provides the majority of switched electrical interface connections between the Main Processor Board and the vessel installation. The relay card provides a high level of isolation between the ships electrical system and the control logic of the Main Processor Board. The Output Cards are available with a variety of conversion circuits. The conversion circuits of the Output Cards can be selected to provide interfaces to common industry standard signal ranges such as 4-20mA, 2-10V or PWM. The Stepper Drive Board and Proportional Valve Drive Board have their own processor which is used to provide a stable closed loop system requiring only a target position sent from the Main Processor Board. 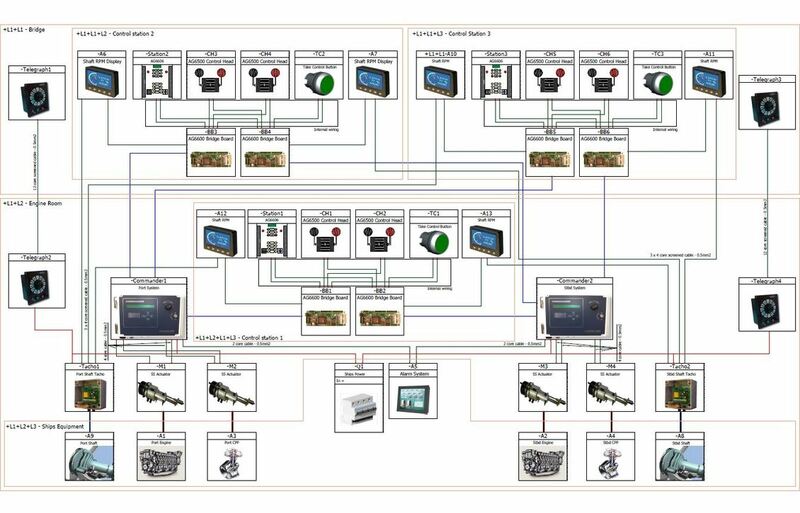 System alarm interface signals are provided by the Commander System. The alarm signals are considered ‘fail-safe’ that is, the contacts are closed under ‘no fault’ condition. Thus if the system power fails and can no longer maintain the energisedrelays, the contacts will open and break the alarm circuit. Additionally any wire break in the alarm signal path will similarly be detected by the open circuit condition and trigger the alarm. Interlocks included in the Commander for station in control transfer and manoeuvring will depend on the type of propulsion system and the operational requirements of the vessel. Multiple control station positions give you control where you need it with smooth and safe transfer from one position to the next. Radamec can supply control panels , or we can supply our waterproof IP67 compact control head for mounting on your bespoke bridge console. COMMANDER also accommodates third-party throttle controls.